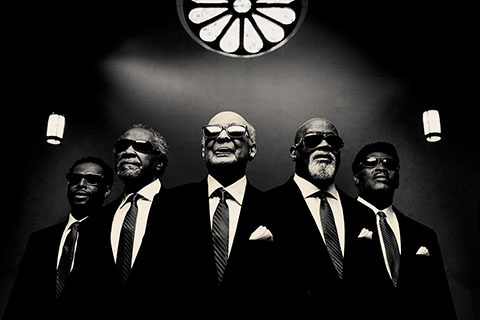 The Blind Boys of Alabama isn’t a novelty act, it’s the work of gospel titans stretching back 70 years. First rising to fame in the segregated south, they began wowing audiences with their miraculous vocal harmonies and electric live shows. Since then these tremendous talents have taken home 5 Grammy Awards and a Lifetime Achievement Award. In addition to singing original songs written by outstanding artists including Valerie June, Phil Cook, the North Mississippi Allstars and more, they breathed new life into gospel standards by adding in jazz and blues influences, resulting in a sound so delicious, so zesty, so jubilant, you’ll become a fan for life.